March 1 was International Waste Pickers’ Day, in memory of the massacre in Colombia in which 11 workers were killed at the University of Barranquilla. For the past 21 years since this tragic event, waste pickers/recyclers have continued fighting for recognition of their work. 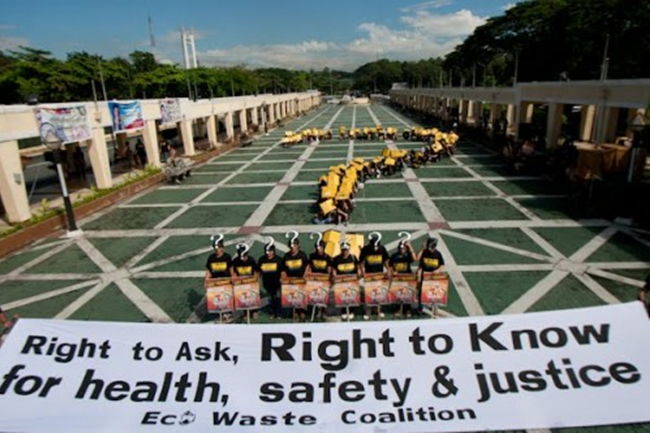 To celebrate Global Waste Pickers’ Day, here are some highlights from Struggles and Victories, the Global Alliance of Waste Pickers’ newsletter. For the first time in more than two decades of the Goldman Enviromental Prize, a grassroots, Colombian recycler named Nohra Padilla has received the honor. The prize coincides with a landmark victory in the city of Bogota, Colombia, where 4,000 waste pickers are receiving payment for their work after more than two decades of organizing efforts. Meanwhile, in India, children of waste pickers became eligible for a government scholarship program after intense pressure from waste pickers, activists and union members who for years have been lobbying high level officials as well as mobilizing locally. The WIEGO/FIWON organizing project in Nigeria saw progress in its seven target cities, with regular meetings and workshops with waste pickers that focus on organizing and engaging government agencies and the public. In Ecuador, an agreement that aims to include 20,000 waste pickers and their families through programs and funding, was signed by government agencies and the Red Nacional de Recicladores de Ecuador (RENAREC). Waste pickers’ associations from seven cities in Bolivia participated in their second national conference, and marched to demand a law that recognizes them as workers and gives them the right to social security benefits. These are just a few stories from a group of recyclers for whom the fight for social and environmental justice is a daily reality. 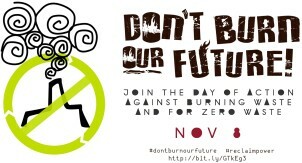 November 8th was the Global Day of Action Against Incineration with over 25 actions in 14 countries that protested incineration and promoted zero waste and social inclusion. For more action from this global coalition: go to The Global Alliance of Waste Pickers. This is a networking process among thousands of waste picker organizations with groups in more than 28 countries covering mainly Latin America, Asia and Africa.